Great for family fun, health and entertaining and if you have a creative flare the combinations are endless. 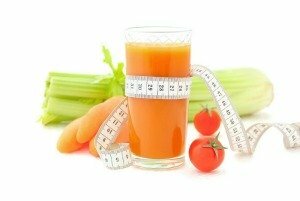 The benefits of juicing fruits and vegetables not only provide the body with essential vitamins and minerals but it is an amazing tool for healthy weight loss and disease prevention such as cancer. Think of these freshly made drinks as a successful addition to your every day diet for weight loss, but also a major part in giving your body the materials it needs to stay healthy while increasing your energy levels. It's like sunshine in a glass because here is what it gives you. It provides you with water, vitamins, minerals, nutrients, enzymes, antioxidants, and great flavor. The basic reason to incorporate this into our diets is to give our bodies the proper fuel it needs. It is recommended that more than half of our diet should be raw. Yes, that means more than 50 percent of our diet should consist of raw fruits and vegetables. For many of us, our busy schedule doesn’t allow us the time, so you have got to buy yourself a juicer. There are a few types of juicers to choose from such as centrifugal, single gear and twin gear. Whatever machine you choose try to incorporate one glass of this magical liquid daily with sensible meals to help with weight loss and overall health. It is easy to prepare fresh and tasty drinks by following some of these delicious recipes. Once you make a few glasses you are well on your way to becoming a pro. With the right appliance and some helpful juicing tips this whole process becomes fun and easy. So how does the benefits of juicing help you shed those pounds? It is no surprise that many of us lack a balanced diet. Today, many meals consist of fried chicken, cheese burgers, pizza, French fries, or a good size plate of meat and potatoes. That list doesn’t even touch the snack foods and desserts that we may indulge in. With the amount of junk food so readily available, it is no wonder are bodies lack the nutrients to maintain our healthy body weight, good health and energy. So every time you substitute a nice glass of freshly made vegetable or fruit beverage you fill up on the good stuff and enjoy all the benefits of juicing. These drinks are easy to digest and quick digestion can help with weight loss as it incorporates the principles of food combining. They also help improve liver function which can be directly related to weight gain, bloating, fatigue, amongst many other symptoms. They also provide a bounty of antioxidants that have been showed to help prevent some diseases such as cancer. It is a simple but effective formula. Substitute more fresh drinks and nutritious meals that are made with healthy foods for any meals and snacks that are not in your best interest.